What Are LinkedIn’s Dynamic Ads and Why Do They Matter? LinkedIn’s ad system allows you to connect with their user base by serving your ad to a targeted audience in the news feed, inbox, or sidebar. You can use these ads to attract new clients, find new employees, and establish or sustain brand awareness. 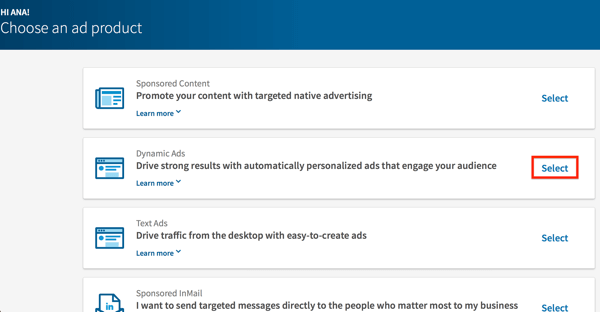 Now you can use the dynamic ads option to personalize the LinkedIn ads you’re serving those users. 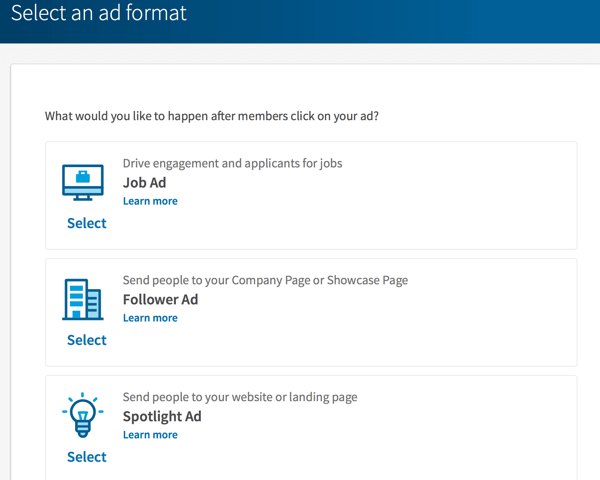 LinkedIn dynamic ads will pull each user’s name or profile picture from their LinkedIn profile and apply it to the ad template you’ve created, resulting in hyper-personalized ads. With so much competition in every feed—mobile and desktop alike—getting users to notice your ad can be one of the most challenging parts of a campaign. Enter personalization. Personalization is important in marketing, and it’s becoming increasingly important in pay-per-click marketing. Creating content that’s deeply relevant to your target audience will significantly increase the likelihood that they’ll respond to your ad and that you’ll see the results you’re looking for. LinkedIn dynamic ads offer advertisers a way to incorporate an entirely new level of personalization into ad campaigns served on the platform. And because seeing their name or profile picture is a sure way to grab people’s attention, this added level of context has an excellent chance at stopping them in their tracks as they’re scrolling through their feed. What Types of Dynamic Ads Can I Run? Follower ads: Use these ads to encourage users to follow you, making it easier to build an on-platform following. Spotlight ads: These ads send traffic to the landing page or site destination of your choice. You can use them to promote products, services, events, newsletters, and more. Job ads: Run these ads to connect with potential applicants and point them to your job application pages. Content ads: These ads are designed to help you generate leads by prompting users to download your content. Content ads, unlike the options above, are only available for purchase through a LinkedIn sales representative. If interested, you can get in touch with someone on the Marketing Solutions sales team here. Each dynamic ad option will let you add appropriate, relevant calls to action (CTAs) to strengthen the impact of your ad campaign. Note: The Dynamic Ads campaign objective isn’t currently available for sponsored InMail ads. Start by heading to your LinkedIn Campaign Manager. Once there, click the Create Campaign button in the top-right corner. You’ll be asked to choose an ad product. Click Select next to the Dynamic Ads option. On the next screen, name your new campaign and then choose to place your new campaign in either an existing or new campaign group. Once a campaign has been created, it can’t be moved to a different campaign group so be sure you’ve got it placed exactly where you want it. Finally, select the language your target audience speaks. The All (Auto-Translate) option is a helpful feature for businesses that have an audience spanning multiple languages. It helps you scale your campaigns by automatically translating your ad as it’s served to each audience member. This option isn’t available on all ad types. It can only be applied to ad formats with preset headlines and text, such as the job ad or follower ad formats. You can choose from a number of preset headlines and ad text options. Preset headlines and text aren’t currently available for the spotlight ad format. Connect with potential job applicants? Choose Job Ad. Gain more followers? Choose Follower Ad. Drive traffic to a landing page on your site for a product, tool, or service? Choose Spotlight Ad. 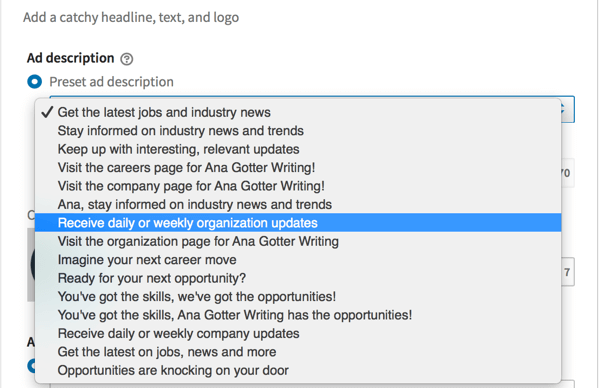 Remember, if you choose the follower ad or job ad format, you’ll have the option to use the preset headlines and ad text that work with the All (Auto-Translate) feature. The preset text available for follower and job ads are excellent tools, but only when they’re actually working in your favor. If none of the options fits exactly what you’re going for, write your own custom headline. Most content won’t need to be auto-translated to every LinkedIn user across the globe, and you can run a few separate campaigns with correct manual translations if needed. Regardless of the ad format you choose, you can also create your own ad text, headlines, and CTA button copy. However, this will often work to your advantage because you can create messaging you know your audience will respond to. As you’re creating your campaigns, look to the preview area on the right side to see changes in real time. Once you’ve settled on ad copy, choose whether you want to show a user’s profile image in your ad. Check the box next to Audience Member Profile Image to enable this option. Uncheck the box to disable it. In many cases, including users’ profile pictures is what grabs their attention right away and stops their scroll, so consider keeping this feature enabled. The balance of the ad creation process is the same as for other LinkedIn ads. The next step is to choose your targeting criteria. As you choose the location your target audience lives in, remember you can include and exclude specific areas to make sure you’re connecting only with the users you want to find. 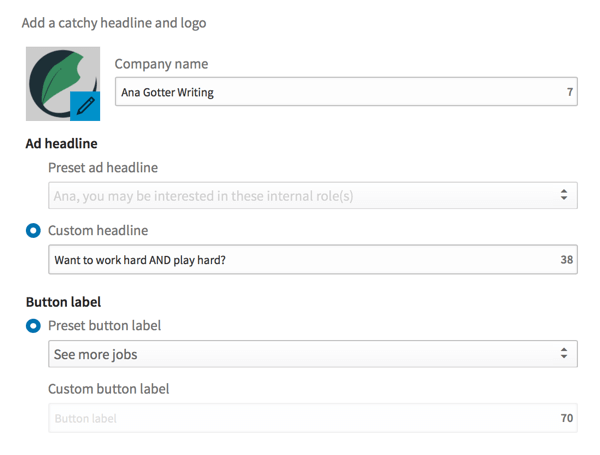 You can also target users more directly based on criteria such as job title, company name, gender, and so on. Choose your targeting criteria carefully. Your ad will only be effective if it’s relevant to the individual seeing it. Targeting everyone in the computer programming industry for a talent search won’t do you much good if you’re looking for senior developers but the ad is being served to students. Next you’ll determine your budget and bids figures. Your daily budget dictates how much you’re willing to spend per day, and your total budget indicates how much you’re willing to spend overall. Your bids tell LinkedIn how much you’re willing to spend per desired action. Pro Tip: Pay attention to LinkedIn’s bidding recommendations. 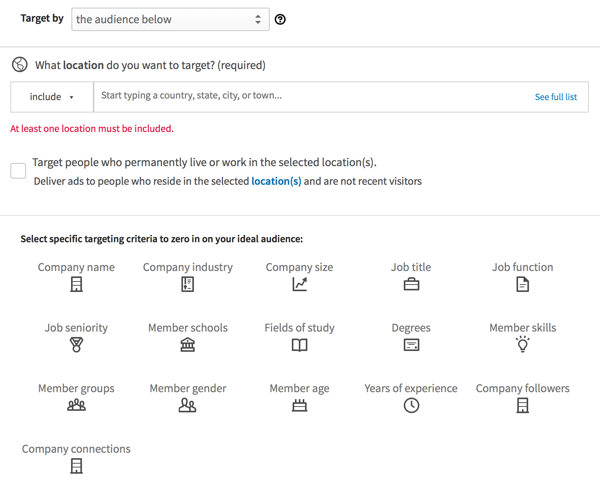 When you’re placing your bid, LinkedIn will show you what other advertisers are bidding for a similar audience. If you want to be competitive, scale your bid up for more successful campaigns. Then enter the start and end dates for your campaign. Now select your ad rotation preference. 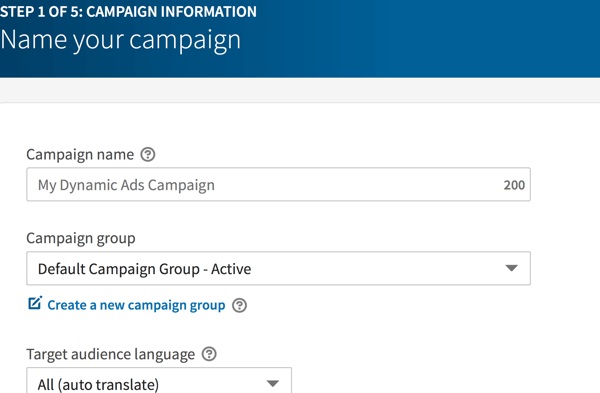 This tells LinkedIn if you want the ads in each campaign group to enter the auction evenly, or if you want LinkedIn to optimize for results by most frequently showing the ads most likely to do well. Finally, choose a budget pacing option. 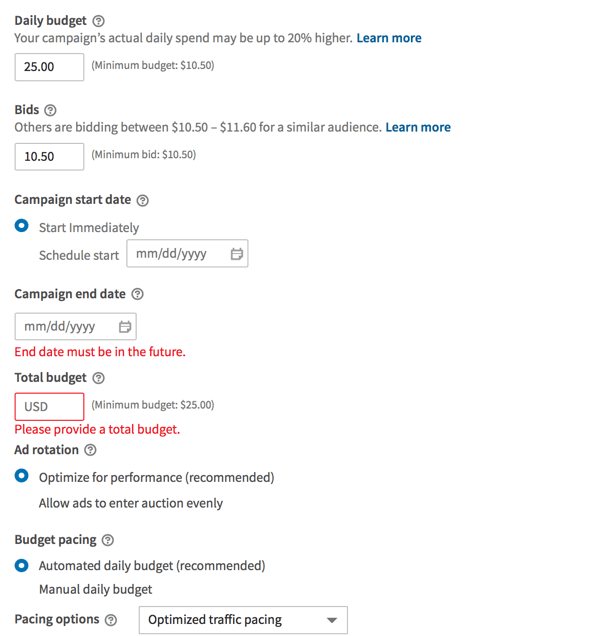 You can either set a daily budget or let LinkedIn optimize your spending budget based on the opportunities available. Now your campaign is ready to submit. 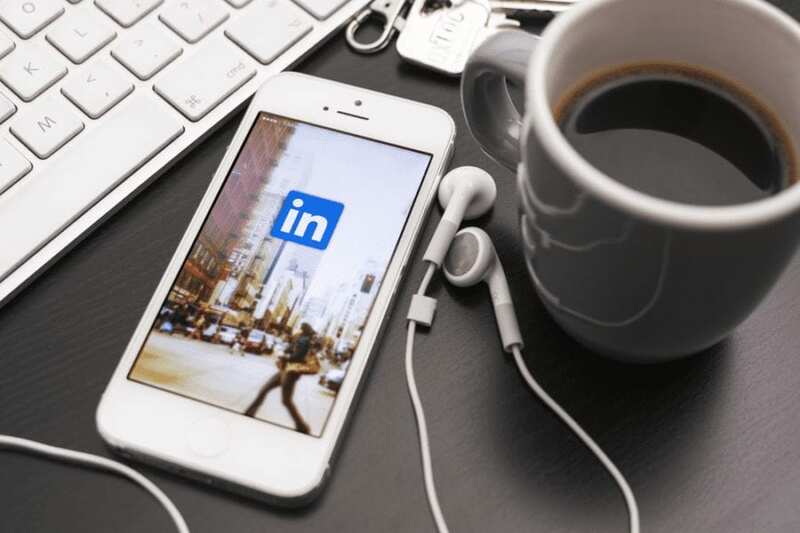 LinkedIn dynamic ads are different from the ad options available on other social media pay-per-click systems, and given the nature of LinkedIn, they can be an excellent fit for certain campaigns. That said, not all of your LinkedIn campaigns can or should use the dynamic ad personalization features. They won’t be a fit for every objective and every message. Focus on LinkedIn ad best practices to create the most relevant, targeted message possible for your audience. That will always be the best way to see results. What do you think? Do you use LinkedIn ads? Have you tested the new dynamic ads option? What’s worked for you? Share your thoughts, experience, and knowledge in the comments below!